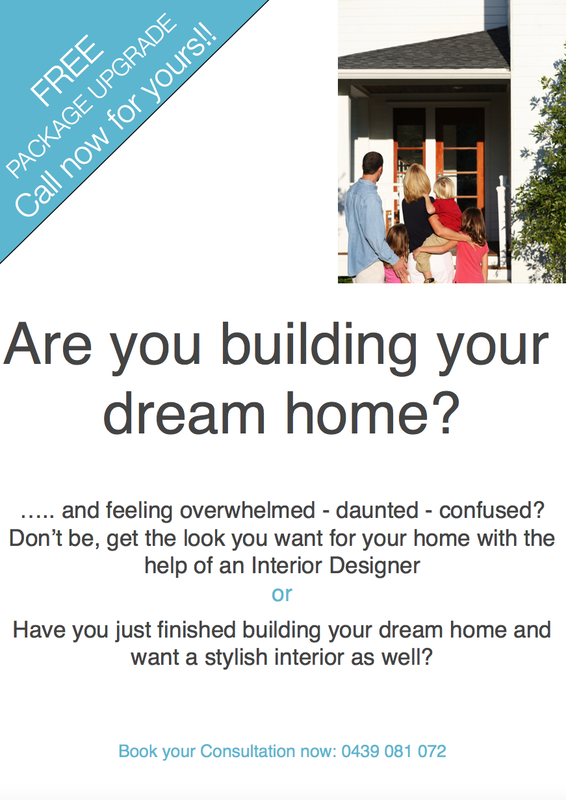 Fashion – MY DECORATOR – Helping you achieve your interior designing dreams! Colour consults, property styling. Pantone have announced Marsala 18-1438 as the colour of the year 2015. To me this colour speaks maturity, elegance and sophistication. Named after a fortified wine it’s richness and earthy red brown tones bring character and I think will add a lot of charm when used in interior spaces. It is a colour that could be used on it’s own or as an accent. Incorporate Marsala into accent pieces, decorator accessories and paint. Marsala’s plush characteristics are enhanced when the color is applied to textured surfaces, making it an ideal choice for rugs and upholstered living room furniture. Lets explore some ways to use Marsala in home interiors. 1. Use Marsala for upholstery. I can see it in a velvet upholstery for a traditional wingback chair sitting next to a beautiful old fireplace in a library, old vintage rug….. you get the picture. 2. Complimentary colours are blue, green, gold even grey will work nicely with it. 3. Paint your dining room walls Marsala if you are feeling brave, be sure you get a lot of natural light in the room though as it is quite a strong, dark tone it could also make you feel very warm too so if you live in a warm climate you may want to consider a cooler colour. 4. Update your current interior with some Marsala in various tones of light and dark, texture, print in the form of cushions, decorator items or art it’s a brilliant winter colour. 5. Marsala will work well with a contemporary interior as well, add more earthy tones and bring in some white to keep it all light and minimalist. I would love to hear how you use Marsala in your home, feel free to comment below. See links below for more uses for Marsala. 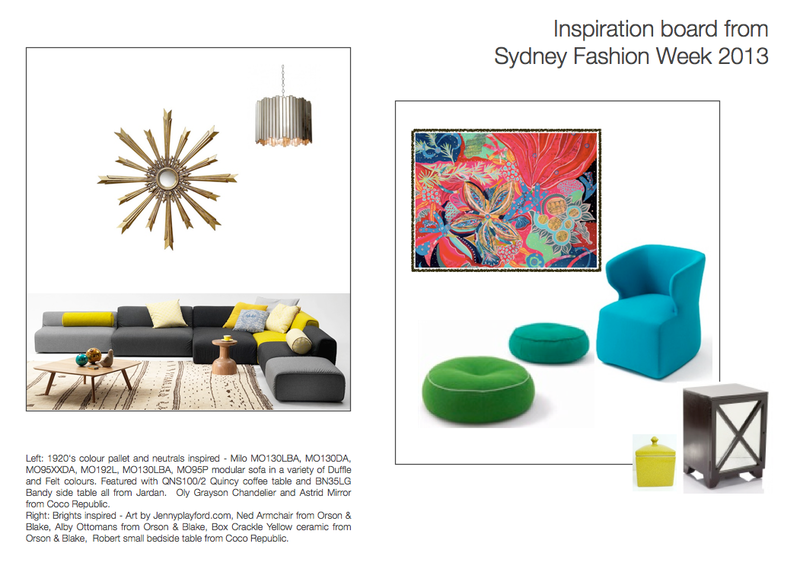 Sydney Fashion Week was held in April 2013 and showcased the fabulous new fashion trends that we are not only going to see on fashionista’s but also in our Interiors. See this you tube clip for an overview. I find that fashion always leads the way and influences what will be happening in Interior trends by about 2 years. Fashion designers that showed their new ranges at Sydney Fashion Week 2013 were Aurelio Costarella, Whitney Eve, Toni Maticevski, Collette Dinnigan, Blesse’d are the meek, Carl Kapp, An ode to no one, Nana Judy, Akira and more. Trends that are coming to your wardrobe and our interiors are: Metallics; Brights in aquas, red violets, pinks, oranges; Warm based neutrals in varying tones of beige; 1920’s art inspired wasabi green, bisque, tapioca, chartreuse and still some remnants of greys. So how is this going to translate into interiors? I think interiors will steer away from the grey colourings with the steel metals to warm metallics like golds and warm based neutrals along with murky muted 1920 colours through to the brights that we have been seeing in fashion for the last year. Interiors may also see the vintage and pastels theme continue. Maybe the below mood board will give you a feel for what I predict we will see in our interiors in the next one to two years here in Australia. What are your thoughts, would love to see your comments below. How to mix pattern into your interior – clash or match? Pattern brings personality to a room. There are two ways to introduce pattern into a space, the safe calculated matching way and then the clashing quirky way. To clash or match that is the question? As I have mentioned in my blogs before I often look to fashion to see what will be trending in interiors. Currently pattern clashes are trending in the fashion world and beginning to seep through to interior design. The vintage interior theme is popular at the moment, this theme carries clashing prints really well. But is there a right and wrong way to clash prints? I think the key is to have a bit of fun, mix up your prints and go with what you like. I think clashes work well as long as your colour scheme is similar then patterns can clash. For instance small or large print floral, paisley, bold abstracts, images and checks and stripes all can work together when they are in the same colour family. I think the unexpected element of surprise of mismatch can bring individuality and personality to a space. To match is much easier in theory. For example one way to achieve a perfectly matched interior is to pull your theme from the supplied stories that come in soft furnishing fabric sample books as fabric houses have generally designed them to match. Mood boards work well to help you design your scheme, using small samples of the fabrics prints that your are considering will help steer your scheme. Let me encourage you to clash a little, push the pattern boundaries, explore what different patterns look like together and have some fun with pattern.